As we slide (or stagger) into the business end of the year, I find myself looking for distractions. So when I got a message via the Twitter that went something along the lines of “We have a new menu Market at W Doha, there are 20 new items. There is lots of cheese”, I declare a “Distraction Action” and head westwards. And the Twitter doesn’t lie. The new menu has cheese. Lots of it. And other amazing things as well. Starting with these balls of deliciousness. 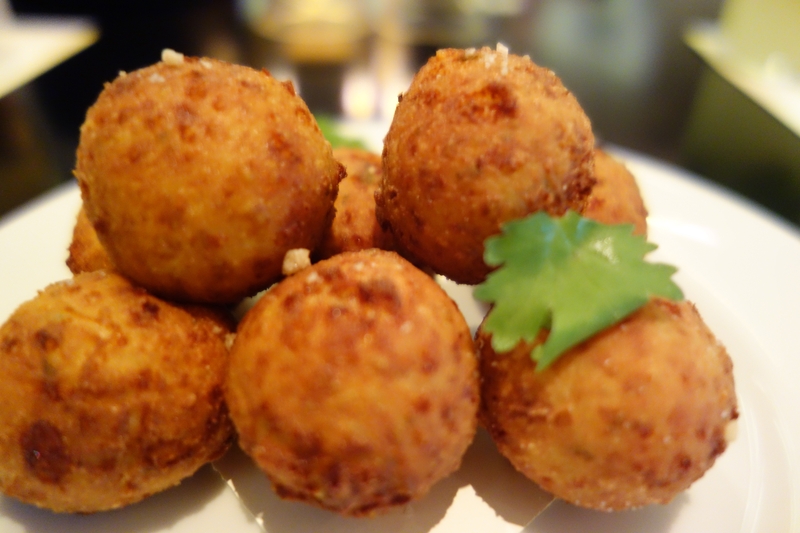 Cheddar chilli fritters. Give me cheddar and add some green chilis then deep fry it? Yes please. This is what I like about cheddar, it’s actually really versatile and doesn’t fight with other flavors. Imagine these with a cold beer and a hot…oh hang on that’s a dream. Ahem. cold beer and hot balls anyone? 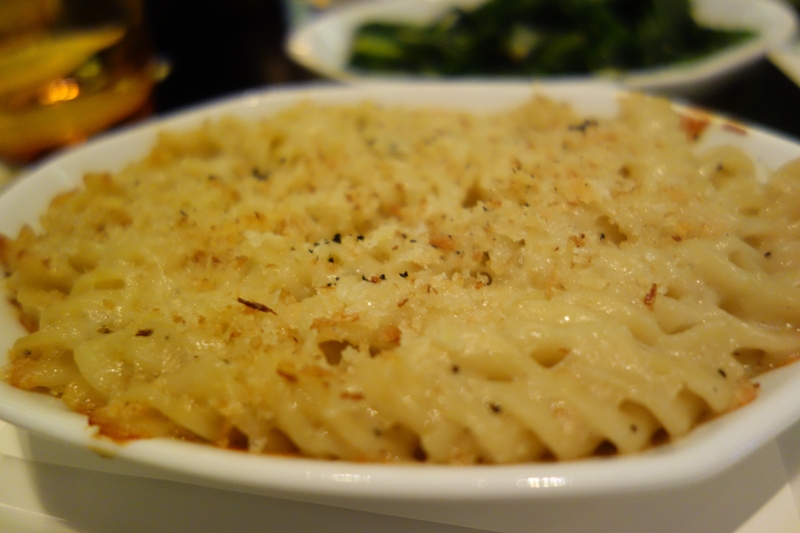 I will get to the mains in a minute, but a little word about the sides, which include a truffle macaroni and cheese. This, well, I am launching a campaign on the interwebz to have this listed as a main – comte and cheddar combined with a hint of truffle. Heaven. 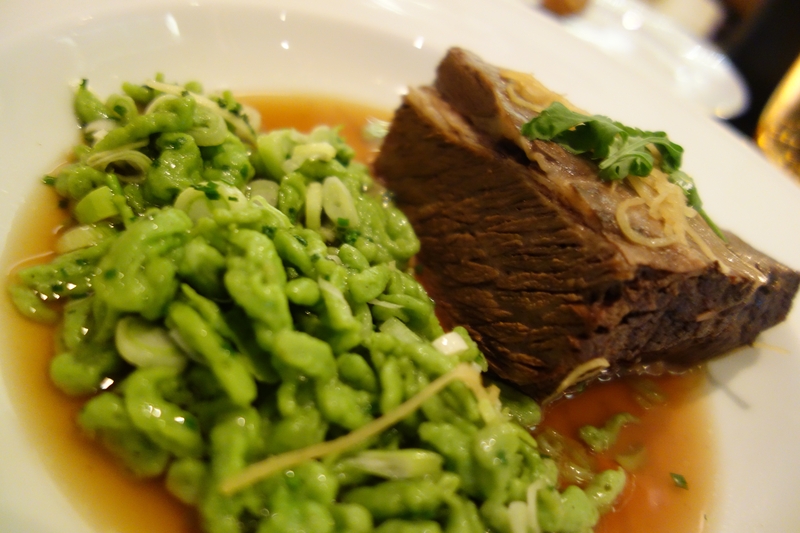 While this post is about the cheese, a quick mention should be made of the starters and mains, which include ginger braised short ribs with chives, spaetzel (think pasta, German style) and cilantro. The meat was soft and the ginger gave the right hit of sharp sweetness. 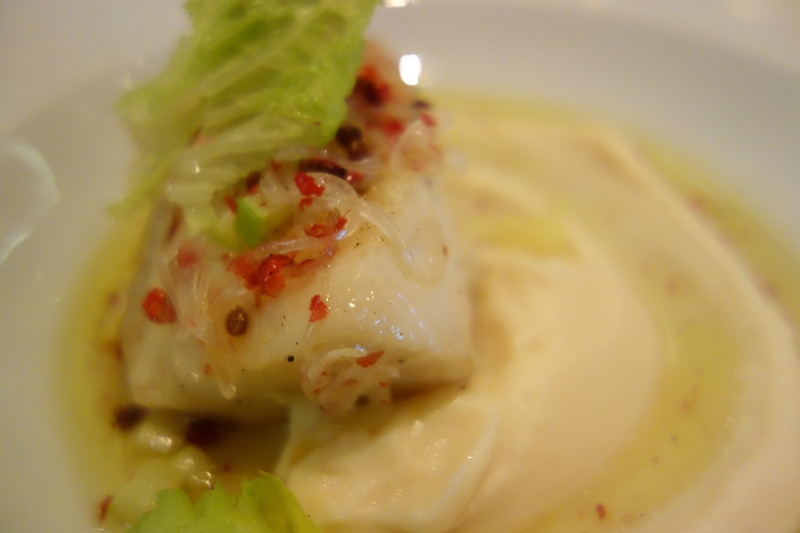 Meanwhile, in theory I am off red meat (according to my trainer) so I opted for the steamed black cod with celeriac maple purée pink peppercorn vinaigrette. I am a huge fan of cod and this didn’t disappoint. 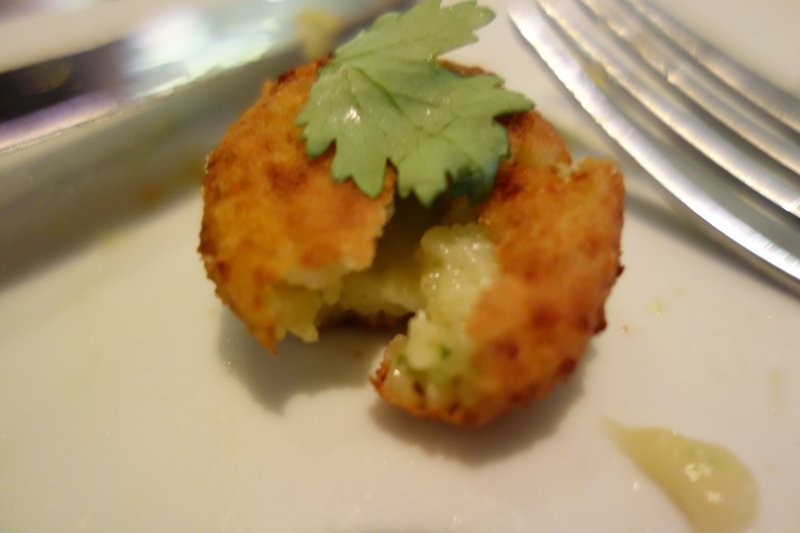 The creamy celeriac offset the meatiness of the fish. 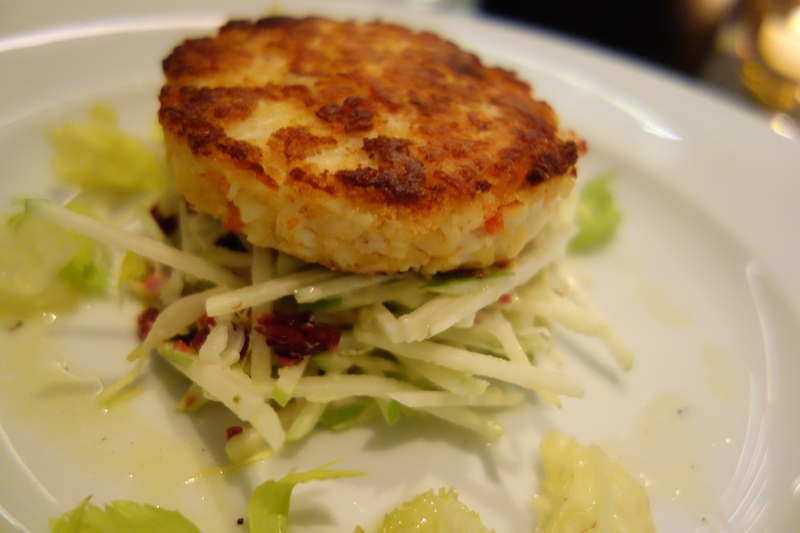 Another winner was the King Crab cake with apple remoulade and celery. King Crabs are cold water beauties known for their sweet meat and if pushed, I will admit I prefer these to lobster. I’m not one for dessert but special mention MUST go to this dreamy interpretation of the pavlova. For those who are uneducated in the way of the pav, it’s meringue, fruit, sugar and lots of good stuff. 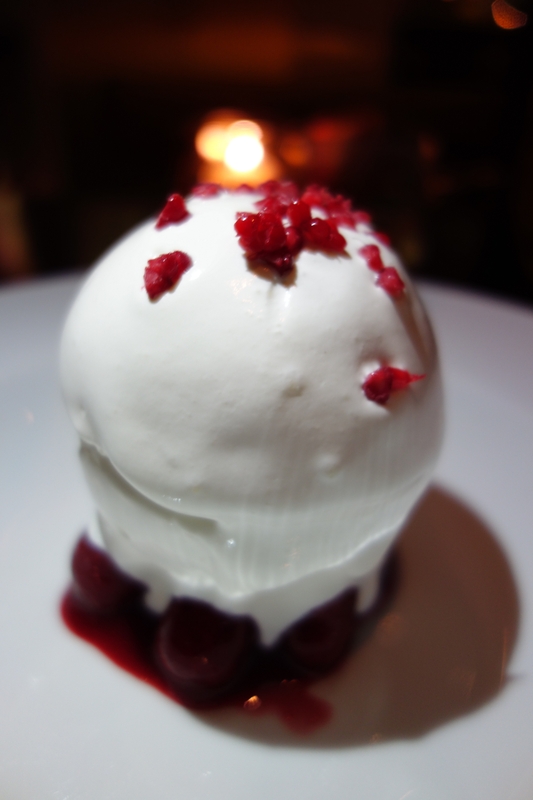 This elegant little dessert was filled with raspberry sorbet, but was almost too beautiful to eat. The tease was right, there was an abundance of cheese for me to taste. I must read my Twitter messages more often!